Son of Joxer and the Lost City of the Amazons! Having escaped his fate at capricious hands of the gods, Son of Joxer, last of the Atlantians, now finds himself setting sail for the Lost City of the Amazons. His beautiful blond sidekick (and bona fide Amazon princess), Gabriella, has been begging and pleading with Joxer to take her home for several months now, but she doesnt have a very good sense of direction or any idea where the Lost City might be. 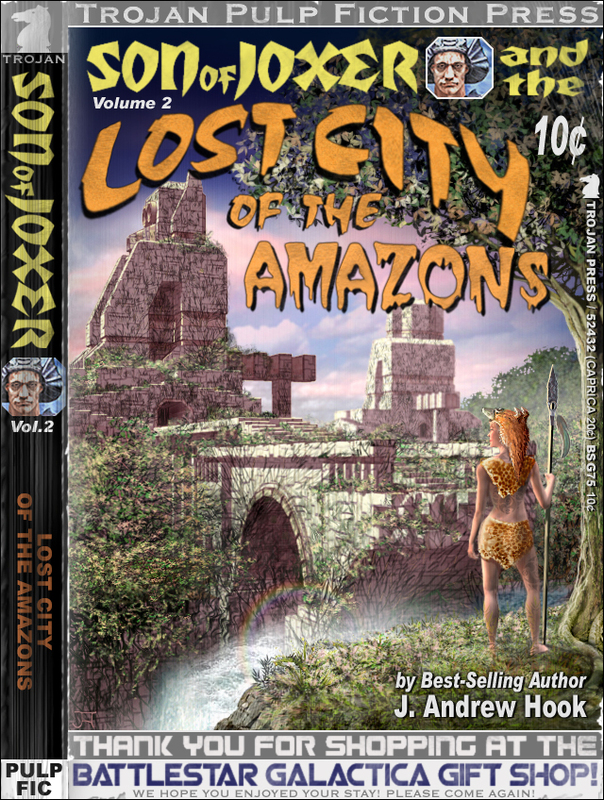 Joxer weighs anchor at the nearest port to get directions and learns some terrible truths about the Lost City of the Amazons from a nearby tavern bard. It turns out that the once legendary Amazons are now a little known tribe of fiercely female-only warriors on the verge of extinction. Due to their strictly enforced female-only membership policy, their tribe has become highly unpopular with the locals and is having difficulty attracting new recruits. The fact that none of them have been able to relocate their own fabled city after all these years hasnt helped matters any. Furthermore, the reason the city was lost in the first place was that the plans to build a bridge across the Amazon river kept getting stalled in committee because the Amazons themselves could never agree over what color to paint the bridge. The debate was cut short when all of the Amazons were called off to wage war against the Horse Lords. Years after their triumph in the Centaur Wars, the Amazons were never able to successfully navigate their way home. Apparently none of them thought to bring a map (or even create one in the first place). Meanwhile, once Gabriellas scheming mother, Queen of the Amazons, finds out that her daughter is still alive, she hatches a plot to seduce Joxer into marrying Gabri in a last ditch effort to recoup unpaid Amazon membership fees. 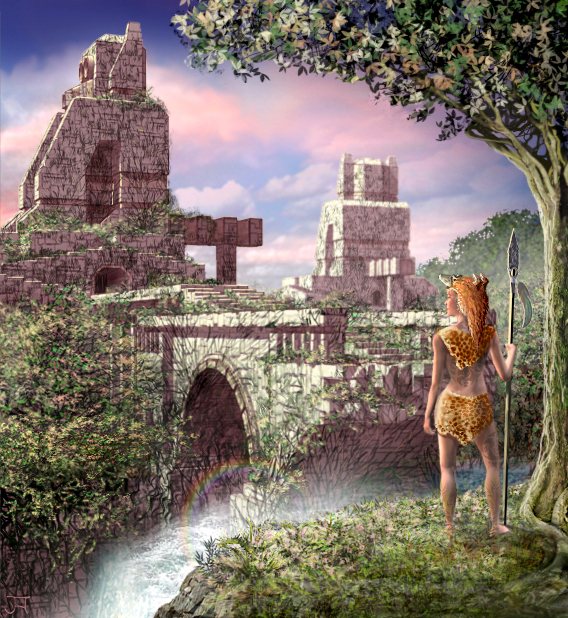 Even worse, Gabri discovers that the Lost City wasnt built by Amazons at all, but rather by an ancient race which worshiped and revered Space Monkeys as gods! This means that even if the the crumbling ruin of the Lost City can be found, it's probably a just a maze of dead ends and booby traps! - published by Trojan Pulp Fiction Press. There are 27 thoroughly disoriented Trojans in this picture. However, since they're still completely lost in the underbrush, none of them can be seen.